Get Brand New Audi Q5 Lease Deals. 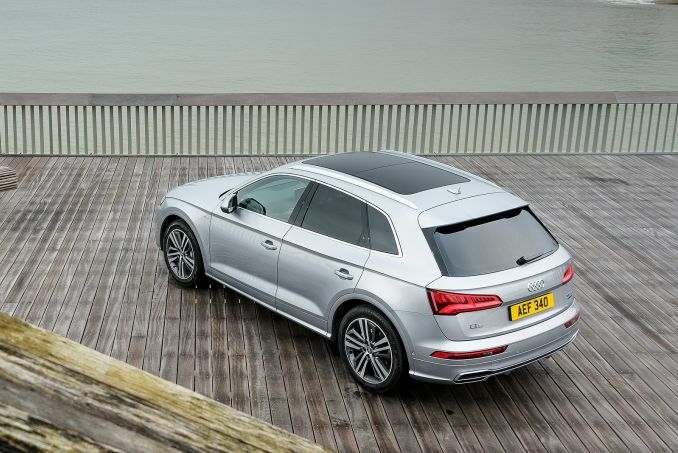 When You Lease an Audi Q5 The Offer Includes Delivery, Road Tax and an Official Manufacturer's Warranty! Audi Q5 is a luxury SUV produced by the famous German automobile manufacturer, first launched in 2008. The Q5 is produced in a total three engine options - 2.0 litre petrol and 2.0-3.0 litre diesel. The engine in this car is considered as one of the finest luxury cars in the world. Both the diesel motors are incorporated with an advanced common rail based on direct injection fuel supply system. Its TFSI based drive-train that is integrated with a direct fuel injection technology which enhances the mileage further. It can attain a top speed of approximately 222kmph while breaking the 100 Kmph with in 7.1 seconds. All Audi Q5 cars leased through us come with an official manufacturer's warranty, free delivery and phone support throughout the duration of the lease contract. As a premium provider of low-cost Audi Q5 lease deals, we invite you to check out our current specials. We are confident you will find a car within your budget. Our website allows you to search through our inventory of Q5 models according to any parameters and search considerations you choose. You will also find that our website automatically sorts the inventory by price from lowest to highest, for your convenience. With the help of our team, you can choose from many low initial payment options. We can also provide you with a flat fee quote using our Intelligent Car Leasing system, so that your monthly payments are predictable. Call today to discuss your budget and payment options. Is bad credit keeping you from calling? Don’t let it! Our team works with individuals who have bad, challenged, and moderate credit all the time. We can help you too! While bad credit can be problematic when it comes to a car lease, we will do our best to get you behind the wheel. However, you may end up paying a bit more for your car though should your credit be less than good. If you are a VAT registered business owner, we have business lease options for you too and you can save money through tax breaks. If you plan to place many miles on your Q5 throughout the contract period, let us know so that we can explore additional options for you. Personal contract hire is done in your own name and is one of the best ways to drive a new luxury car around town. When the lease is up, you just bring the vehicle back to us and sign a new lease or simply walk away and continue life as normal. Let’s get the process started now – give us a call! None of our lease deals come with insurance. This means that once the paperwork is finalised, you will need to obtain an insurance policy in your name to cover your car.